Welcome to the Compassionate Heart site! The Contemplative (now Compassionate) Heart Community was founded when two men – Craig Bergland and Jack Pain – both of whom had been involved in experiments in what’s commonly known as New Monasticism decided to venture out on their own with a group that was more broadly inclusive and tolerant than most such groups which existed at the time. A few years later Jack passed away and Craig, who was involved in many other projects, decided to put Contemplative Heart on hold. In the Spring of 2012, Craig began having conversations with his friend and colleague John Lowey. 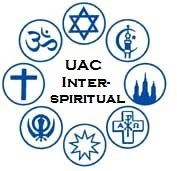 Both shared a love of contemplative prayer and meditation in the Christian, Buddhist, and Hindu traditions; both are ordained Christian clergy in the Universal Anglican Church who have also taken Buddhist refuge vows; both identify themselves as interfaith and interspiritual in perspective; and neither fits the stereotypical image of a member of the clergy. Together, they brought Contemplative Heart out of mothballs as Compassionate Heart and have breathed new life into it in Milwaukee, Wisconsin. The mission of Compassionate Heart is both local and world-wide. 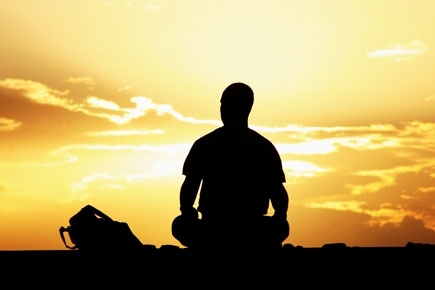 Locally in Milwaukee Compassionate Heart began a non-sectarian meditation group in September, 2012. The group currently meets on the first and third Wednesday nights of every month at 7pm. We meet at the Marian Center for Nonprofits, 3211 S. Lake Drive, St. Francis, WI 53235 in Room 315 of the south building. We recommend you park in the south lot. As demand increases, so will the number of meetings! The world-wide mission of Compassionate Heart is to provide information and support to people interested in meditation and/or contemplative prayer (we use the two terms interchangeably). We welcome your questions, concern, and discussions. If you are located in the United States and would like us to visit your meditation group or to consult with us in starting a group, please contact us. We would be happy to assist you! Periodically we will be posting blogs on this site that have to do with issues and perspectives around meditation. If you have a topic you would like to see covered, please let us know!